He's a great looking GSD mix. He might not even be a mix. I was thinking the same thing- he's gorgeous and could very well be all GSD. 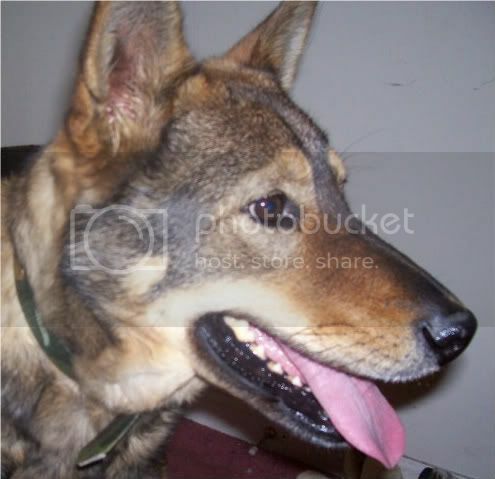 He might be GSD Husky, and maybe I'm totally insane but I could really see ACD...does he have any herding tendancies? Looks GSDxHusky to me too ... nice looking dog! I see Some sort of Akita or basenji face.. I dont see Purebred shepherd though. PB GSD's have a very distinct nose and face.. I think GSD/Husky as well. I see mostly GSD. I see something else, I think but I can't tell just what. I see a northern breed in there. The body type is very square and neither huskies nor GSDs are square dogs, but I think he is mixed with a northern breed with a square body. The puppy photo makes me think ACD but none of the other photos do except in body type. The eyes are slanted which also makes me think northern. Maybe there are more than two breeds in his mix. What an interesting and beautiful dog! I definitely see GSD . . . not sure what else. He's a gorgeous boy, though! Perhaps alaskan husky, or a husky mix crossed with a GSD. I hadn't really thought about it simply because they aren't a breed I think about much, but his head is a little roundish like an Akita's. No, not really. When I took him in I was a little worried about the possibility of crazy herding tendencies but he really doesn't have any to speak of. I never thought about the shape of his eyes. Off to google lol. And thanks for the compliments I think he's pretty beautiful too. 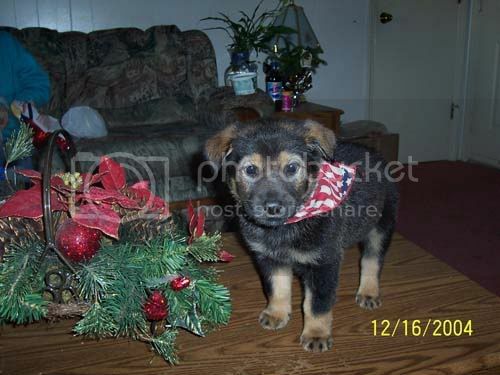 Google sable, Czechline GSD's. You'll see some that look very similar to your boy. If he is a mix, I would guess Husky or perhaps Cattle Dog as well. But most definately no less than half GSD. If you are really curious, do the DNA test. We have a stray, delightful dog, who fits in perfectly with our GSD's and I had him DNA tested just out of curiousity and found out he was mostly GSD. And Newfoundland. Having devoted half my life to the Basenji breed, I can pretty much guarantee there is no Basenji in this dog. It's possible he's all GSD, just not necessarily a well bred one. 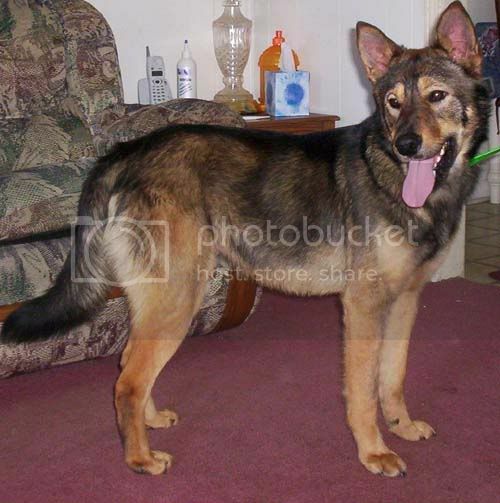 Siberian/GSD mix is also plausible.